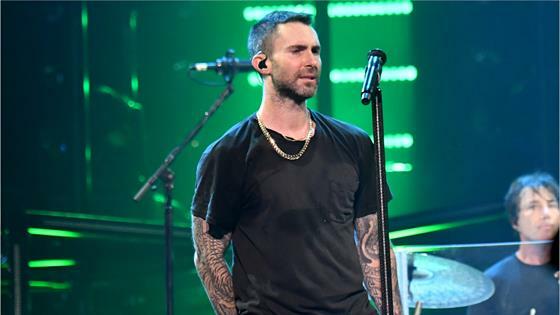 The Super Bowl halftime show continues to stir controversy as the NFL announces that Maroon 5 will not participate in the traditional pre-game press conference. The National Football League made the surprise announcement just five days before the musicians would take to the stage. In a press release, the league said that rather than participate in a press conference, the artists will participate in a "social and digital media rollout" in advance of the televised show. "Maroon 5 has been working hard on a Pepsi Super Bowl LIII Halftime Show that will meet and exceed the standards of this event," the statement begins. "As it is about music, the artists will let their show do the talking as they prepare to take the stage this Sunday." Maroon 5's agreement to perform for the halftime show has been a source of controversy ever since the band announced they will be performing in December. This is due in large part to the NFL's stance on players taking a knee during the National Anthem. In May, NFL Commissioner Roger Goodell instituted a new policy that would impose a fine upon any league or team personnel who are not standing and do not "show respect" for the flag and anthem. And this reportedly was the reason that Rihanna did not accept the honor. Us Weekly reported that the "Work" singer "said no because of the kneeling controversy." Then, comedian Amy Schumer called on the band to step down as headliners amid rumors of their halftime appearance in October. She spread the word about a petition on Change.org demanding that the Adam Levine-front group back out of the performance in "solidarity" with quarterback and free agent Colin Kaepernick. This pressure even caused Levine to question the band's decision. In November, he told Variety, "I'm still formulating a lot of things," in regards to the performance. However, it appears the NFL won over Levine and the rest of the band by promising a $500,000 donation to the organization Big Brothers Big Sisters of America. "We thank the NFL for the opportunity and also to them, along with Interscope Records, for making this donation to Big Brothers Big Sisters, which will have a major impact for children across the country," Levine told E! News.